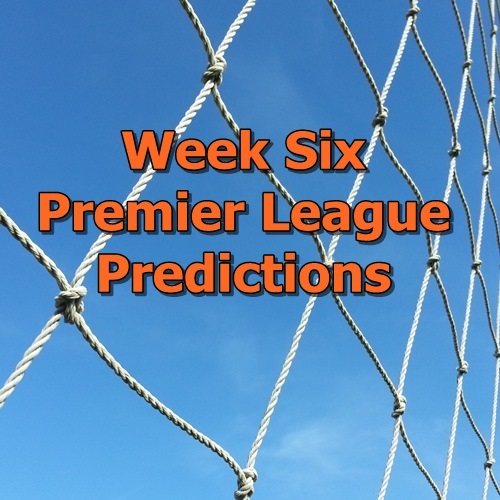 Week five brought some great matches and I’m excited to see what we have in store for us this coming weekend with the week six Premier League matches. There are definitely some quality matches starting out with the early kickoff in London with Chelsea hosting Arsenal. Six points currently separate the two teams from 16th and third respectively. I can’t imagine many people would have thought Chelsea would be sitting so low with a -5 goal difference at any point of this season, even if it is just five matches into the season. The biggest issue seen with Chelsea has been their defense and the lack of defending. In coming up against Arsenal, they are facing a team that has the most shots per game in the league this season at 22.4. Chelsea has allowed the seventh most shots per game at 15.4. There are plenty of quality matches taking place in week five and there could be some very interesting matches. Man City should be able to dispatch West Ham United, even with the Hammers scoring five goals and two wins in their away matches. Southampton host Manchester United after a disappointing draw while the Red Devils will be buoyed by their 3-1 win over Liverpool. I am predicting a draw in that one though, particularly with United having a midweek Champions League match. Tottenham and Crystal Palace should be a great match to watch. Palace looked like they had done enough to get a result against City, but the referees decided to stamp their mark on that one. Perhaps it’s a sign that City are becoming a bigger club in the Premier League. Spurs head home after getting their first win of the season, even if it was far from convincing. It’s a difficult weekend to pick any great FPL matchups and could be one in which I avoid entering any weekly tournaments. If you are looking for some Fantasy Premier League tips you can read my weekly posts over at Togga. While you’re there sign up for the Perfect XI game and join the Premier Soccer Chat group: https://www.playtogga.com/perfectxi?TG_DL=4&TG_XILRID=BC9KYH9JSN (referral code: BC9KYH9JSN) and read all of their great fantasy tips.